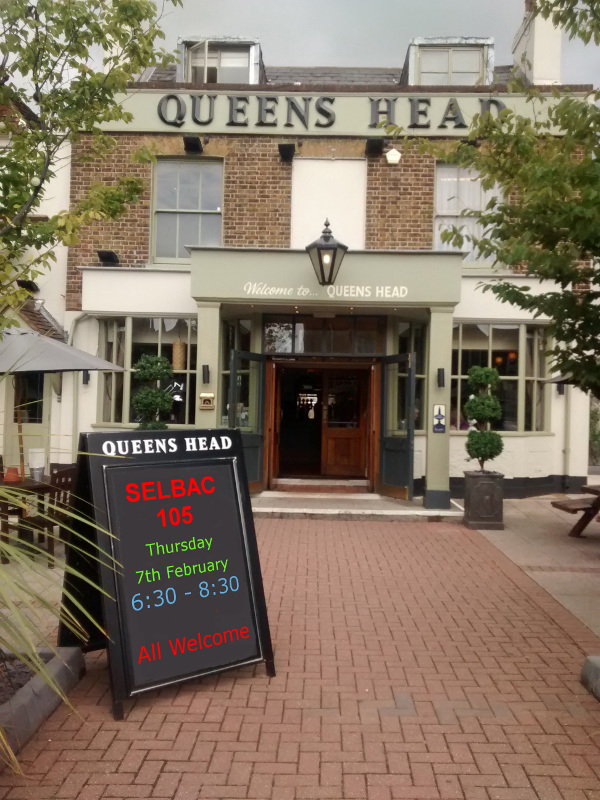 SELBAC returns to Chislehurst for February. We shall be at the Queen's Head, High Street, Chislehurst BR7 5AN on Thursday 7th February from 6.30pm until 8:30pm and will have a dedicated area, either at the back or the front to the left. There is wheelchair access at the venue from the rear car park. Come along and meet with fellow geocachers and chat about all things caching. Discover and swap trackables and put faces to those names in the log books. Unsolved puzzles.... bring them along to see if someone else can help with them. Can't find a local cache? - or even one some way away? - we may be able to help. We are always pleased to meet new cachers - so please come and join us. The nearest train station is Chislehurst which is a good walk away, but there is the R7 or 162 bus which will get you to the pub. Plenty of other buses come to Chislehurst - 61, 160, 161, 162, 273, 638, R7 and N136. There is a car park to the rear of the pub (narrow entrance to the left of the pub). ** New ** If you park here please make sure you enter your car registration number on the keyboard on the bar - otherwise you will receive a parking ticket. There is also off-road car parking opposite and a large car park just up the road (both are free after 6:30). Food is (hopefully!!!) readily available as this is an Ember Inn. Children are only allowed in the pub until 7pm. If you arrive early there a plenty of local caches to find including a very local Earthcache, JTB's Chislehurst, Kemnal Kwik Step and Hawkswood Hop Series, RubyShoos Assiduous Cacher Challenges, a few Church Micros and I even hear tell that there are some local Wherigos.